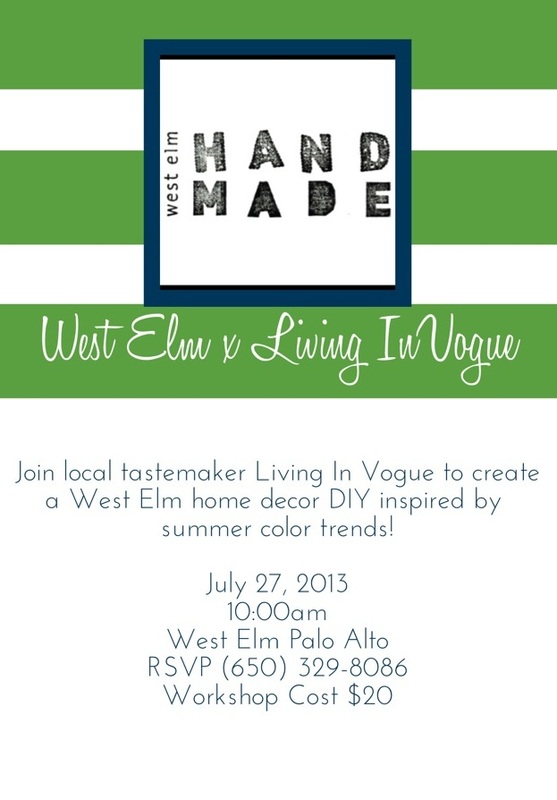 I am so excited to announce that I will be hosting a fun DIY event with West Elm Palo Alto this coming weekend. Inspired in bringing some color and pattern into the home we will be customizing a simple and chic entertaining tray with Washi Tape. Also, all attendees will be entered into a raffle for a re-vamped West Elm white scoop chair by me! Join us for some sweet treats and West Elm hand-made fun. Space is limited so make sure to RSVP.